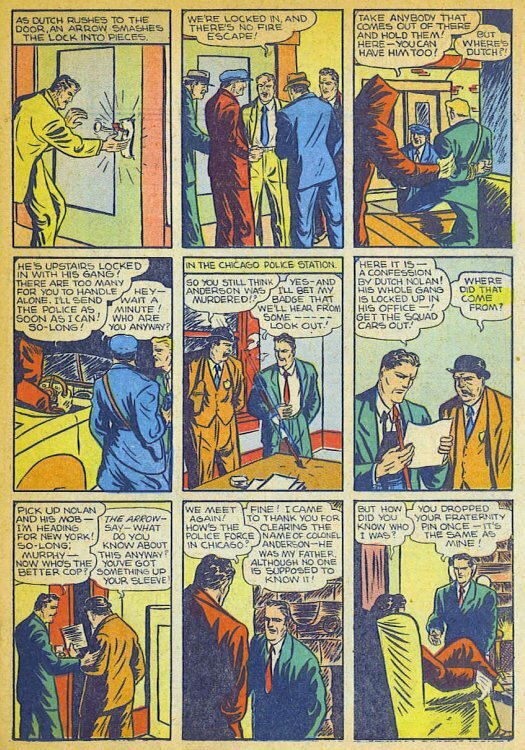 Hero Histories: Reading Room: NOT WHO YOU THINK: THE ARROW "Correcting the Colonel's Court-Martial"
Reading Room: NOT WHO YOU THINK: THE ARROW "Correcting the Colonel's Court-Martial"
...since that character is based on Green Arrow, who was given that colorful name to avoid confusion with this guy, comics' first archer superhero, as detailed HERE! 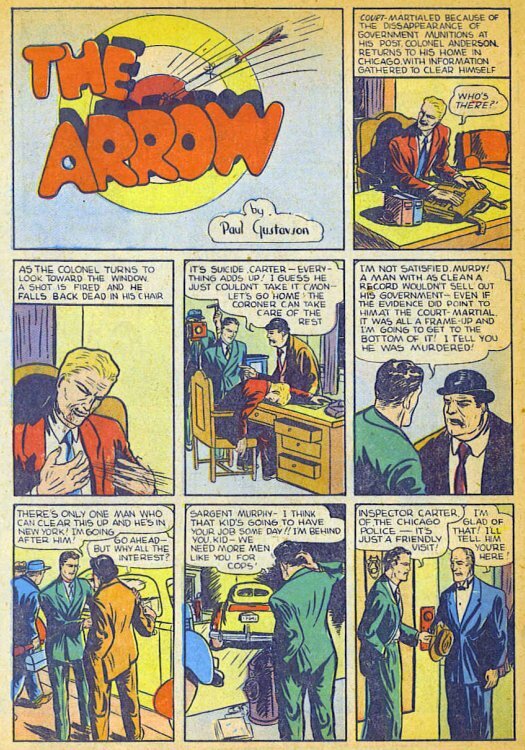 Ironically, the CW superhero visually-resembles this character more than DC's Green Arrow, whose back-story has been Smallville-ized for the tv series. 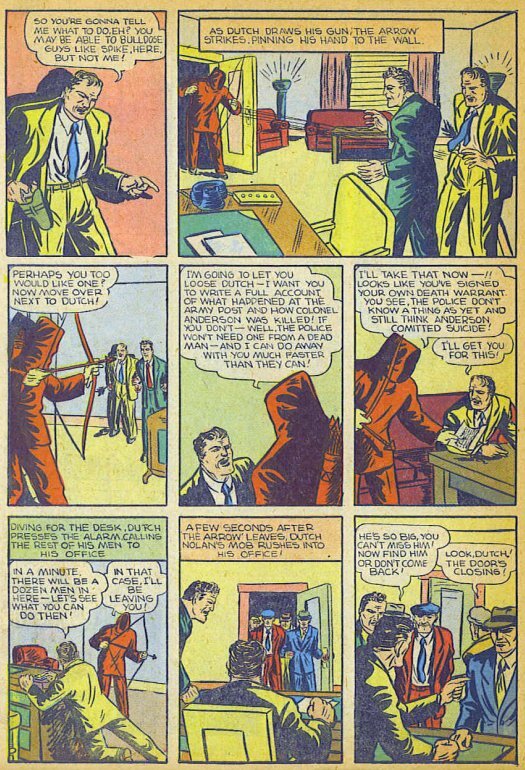 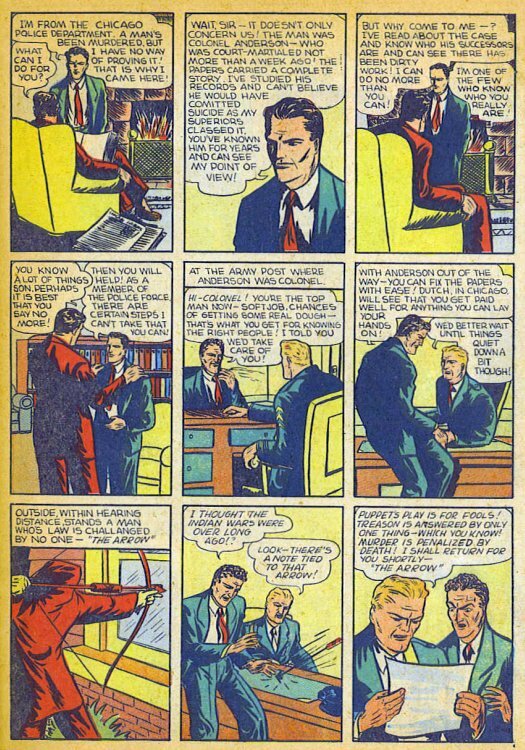 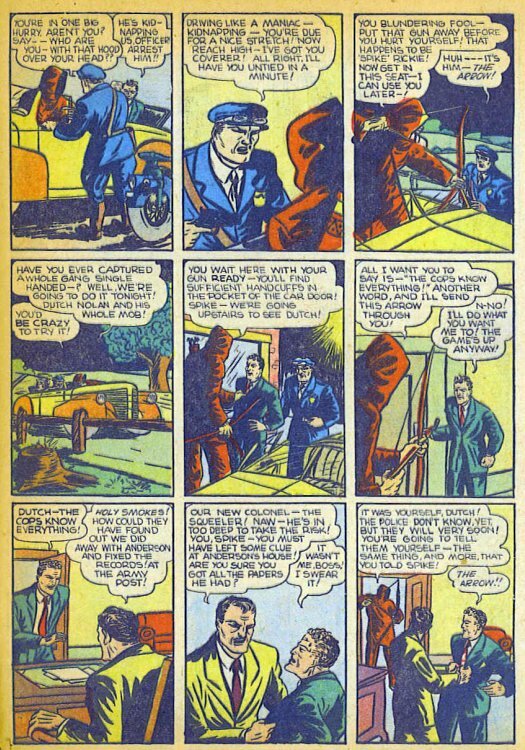 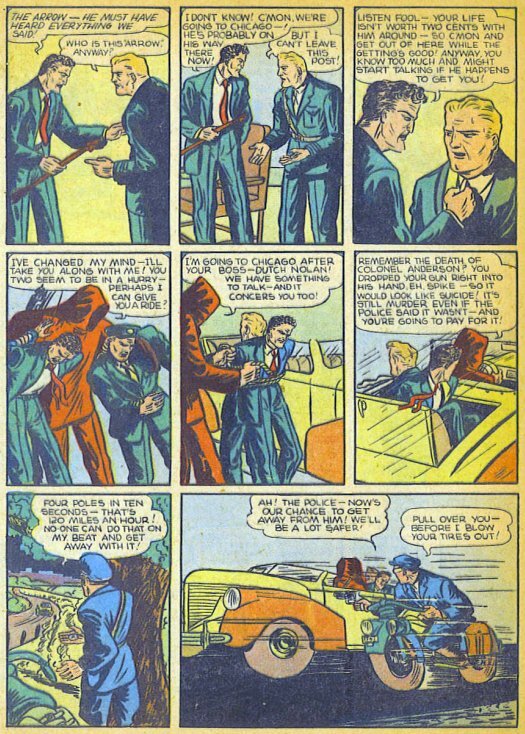 Written and illustrated by Paul Gustavson (who also created another archer hero who predated Green Arrow...Quality's Alias the Spider), this tale appeared twice in Centaur titles, first in Funny Pages V2#12 (1938), then in FantoMan #2 (1940), which was actually the short-lived title's first issue.